Sometimes tried and true is a great fit. 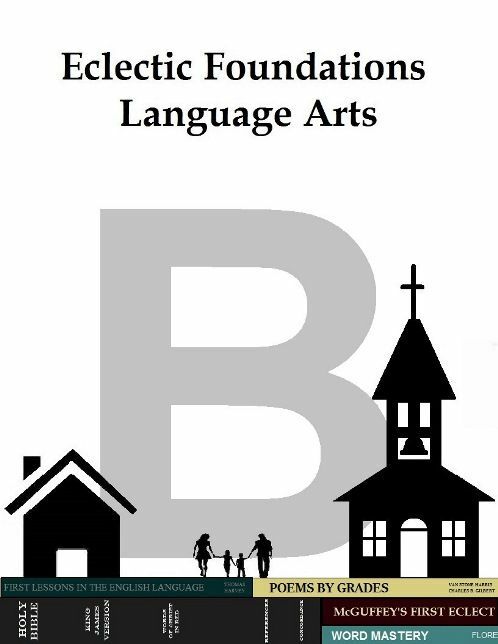 Since we got the chance to review it, Madison has been gaining confidence in her reading with Eclectic Foundations Language Arts Level B.
Madison's an interesting kid to teach. She learned her letters, her letter sounds, and plenty of sight words early. She has a crazy memory and picked up on everything verbal so quickly that I was convinced we had a prodigy. When she was preschool aged, we worked our way through kindergarten curriculum, slowed only by her fine motor skills. I dedicated plenty of time to letter formation, since I thought that's where she needed her work. I was an early, advanced and vociferous reader, so I figured she was following in my footsteps. I was confident I could guide her. Heck, if she was really like me, I'd barely need to teach! Put the right books in front of her and she'd soar! That's where things got tricky. By the time we began a first grade curriculum for her kindergarten year, she'd lost some of her mojo. She'd lost the drive and a good portion of her swagger. She went from tearing through books, so proud of what she could read, to insisting that we read for her. She started skipping easy sight words, claimed she couldn't decode basic words, and just seemed to be losing ground. It is SO HARD to be the parent and teacher in that situation. Was this normal? Was she just an early bloomer instead of a gifted reader? Was it me? Did I do something wrong? She was still "grade level", even "above grade level", but I needed to shake things up, by going back to basics. In this case, way back. 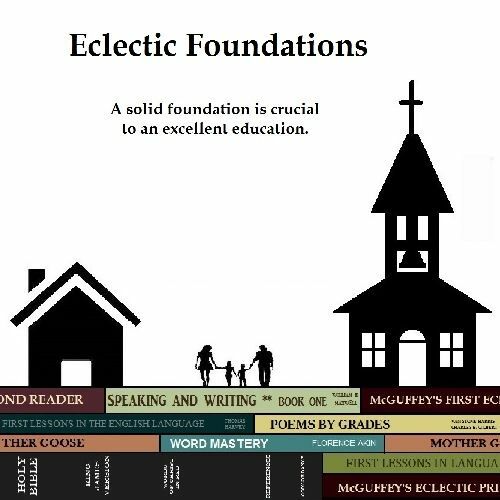 Eclectic Foundations uses McGuffey readers, copywork, and grammar to make sure that students have a quality, solid, foundation in language and reading. We chose Level B for Madison, which generally seems to be a good fit. Level A is generally recommended for students who are still learning the alphabet and are not reading. The program is designed to be used four days a week, which makes the length of each level about 36 weeks. We generally do school 3-4 days a week, sometimes more, sometimes less. It would be easy to adjust to your own pace in the teacher's manual. Madison's favorite part of the program, was, bizarrely, the word cards. There is something about using the different colors to identify the parts of speech that really caught her interest. As for the passages, she wasn't hooked, but the passages are also short enough where she wasn't turned off either. It was as if she knew that these passages were for learning, not entertainment, and she was willing to put in the work.We had not done much poetry, so she was definitely interested in that. Then there's the copywork. Poor Madison. Copywork is the bain of this poor kid's existence. We've tried character handwriting books, mechanic approach to handwriting books, personalized worksheets, joke books, disguising copywork as spelling words or making lists, and she is just not having it. In Level B, the copywork is cursive. She's fascinated by cursive, and I'd been holding off until she has print mastered. So she was into the cursive copywork, but frustrated. The letter that's being focused on is written in cursive, but the rest of the copywork is displayed as print. She didn't know how to connect the letters (or really, any other letters other than the focus one), so we adjusted those to print, with a "reward" of trying them in cursive if the print was done well. She was happy to do this at the beginning, but it did lose the luster after a few lessons. Overall, the curriculum is solid, the planning and prep required of the teacher is simple and straightforward, the work is appropriate and isn't overwhelming. The price is definitely right, even if you order a printed version ($56 for a complete spiral bound curriculum, $30 for a digital download). It will put your student on a good foundation. I liked using it. But I would definitely think about whether or not it was really right. I don't think it would grab a reluctant reader and could make language arts feel like a chore for certain kids. And the copywork could be an issue if you haven't begun cursive. It's found a place in our daily routine for now, and seems to be working well!